Take your school or business message on the road! Businesses and school change locations from time to time. We built the lightweight Letter Message Board to provide the type of portability that makes it easy for you to pack and unpack during relocations. 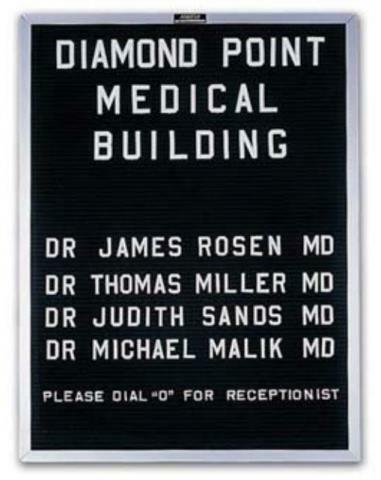 Moreover, the lightweight design allows you to move the Letter Message Board to points throughout your business or school. The message board makes for a popular way for office buildings to list tenant room numbers. 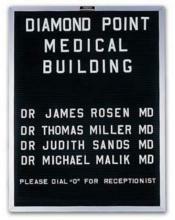 We construct the Letter Message Board with satin-anodized trim that provides extra support to the posting frame. 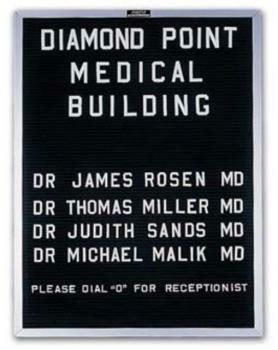 The message board is available in ten sizes to meet all of your posting needs.